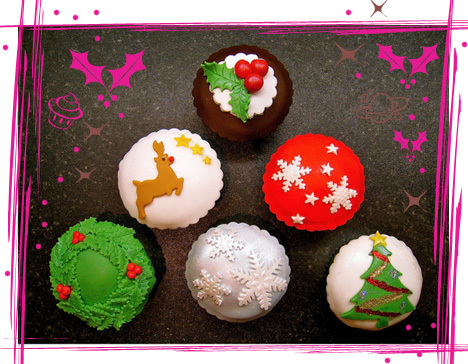 Great collection of gorgeous cupcake designs. 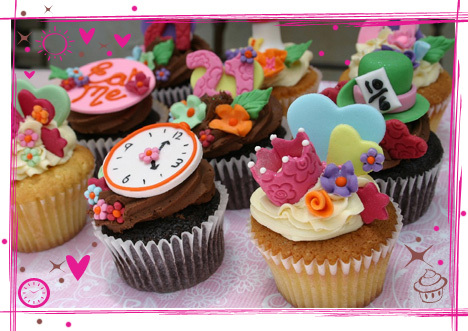 And the Alice In Wonderland cupcakes makes a fairytale come reality. 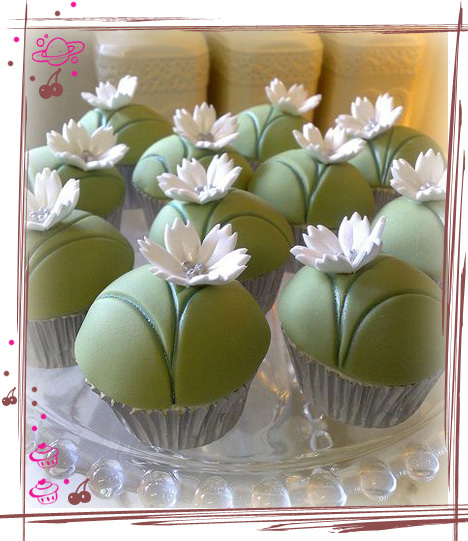 Just follow the rabbit :). 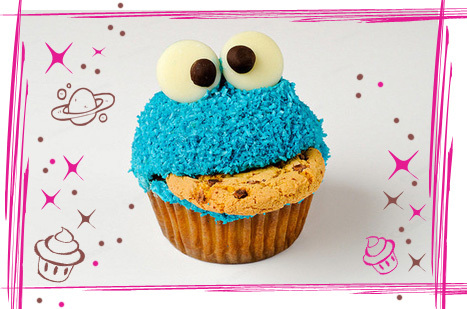 Incredible Cookie Monster cupcake recipe. 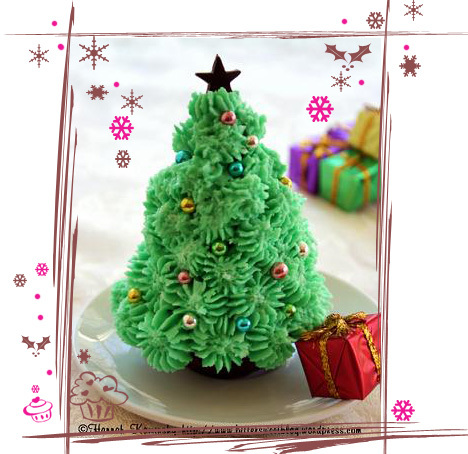 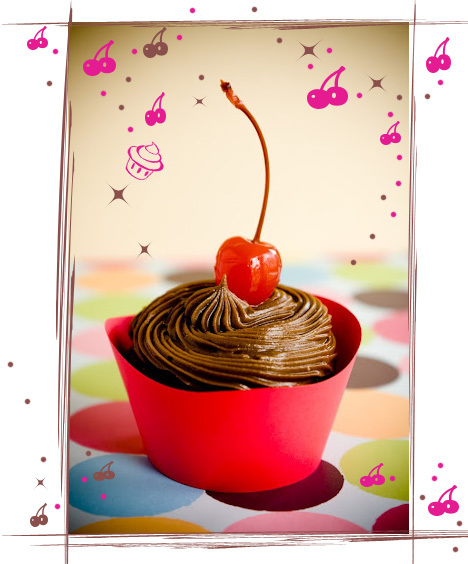 Try to find more delicious and peculiar cupcake :). 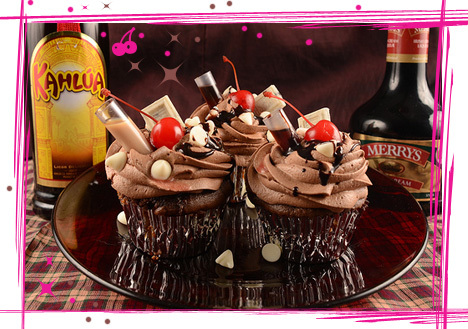 Kahlua, Merrys, fun – That is the simplified recipe for great alcohol cupcakes :). 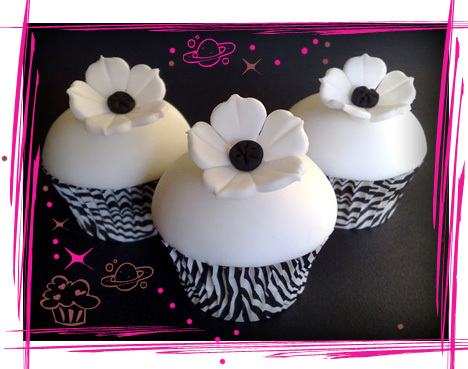 Black and white floral decoration – exquisite combination perfect for many occasions, including wedding. 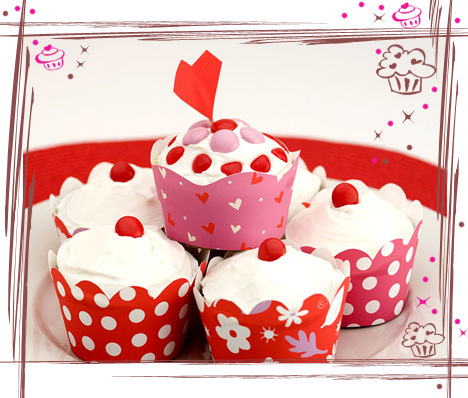 Wonderful ideas for floral decoration of cupcakes baked in Muffin size cupcake cases with a very generous topping of buttercream or Ganache. 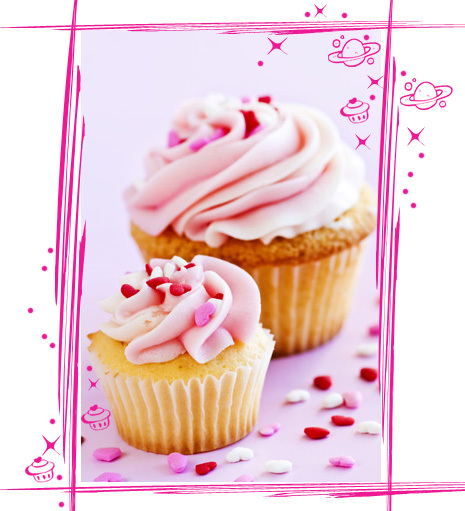 Simple and really quick recipe for cupcake vanilla icing.